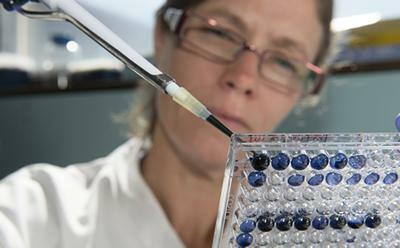 Research, involving scientists and doctors at the University of Southampton and Royal Bournemouth Hospital, has identified a network of genes that are likely to be shared by all patients who have chronic lymphocytic leukaemia (CLL). Furthermore, the study has identified gene networks that are associated with patient survival, which could be identified as targets for treatment. World-leading cancer researcher, Dr Christoph Bock, from the CeMM Research Center for Molecular Medicine of the Austrian Academy of Sciences, Vienna, led the project, in collaboration with Professor Jonathan Strefford from the University of Southampton and CLL clinician, Professor David Oscier from the Royal Bournemouth Hospital. It has been published in Nature Communications. The study was part of a group of work by an international consortium of biomedical researchers led by the CeMM Research Center, testing the feasibility of epigenetic analysis for clinical diagnostics and precision medicine. Epigenetic changes occur in all cancers, and in various other diseases. Building upon years of technology development in laboratories around the world, this series of research studies shows the accuracy and robustness of epigenetic tests. Going forward, clinical researchers will be able to apply these methods for specific diseases, and it is expected that epigenetic tests will be become widely used for selecting personalized treatments in cancer and other diseases. The UK team, made up of clinicians and scientists from Southampton and Bournemouth, and funded by Bloodwise and Bournemouth Leukemia Fund, contributed to an international effort to perform the first large-scale analysis of the chromatin landscape (a combination of DNA and proteins) in human tumours, focusing on this occasion on patients with CLL. Dr Matt Kaiser, Head of Research at Bloodwise, says: "Chronic lymphocytic leukaemia develops at different rates in different patients and some will respond better to treatment than others. While testing for the presence of specific genetic faults is being developed to better predict a patient's prognosis, it is clear that other biological factors influence outcome. This exciting study shows how looking at the bigger genetic picture - the broader spectrum of how genes behave and interact in the cancer cells - could be integrated to more accurately tailor treatment plans for individual patients."